Anyway, Nendoroid Petite: Hatsune Miku Selection has been available for pre-order since yesterday, and as expected, it packs several surprises for us. 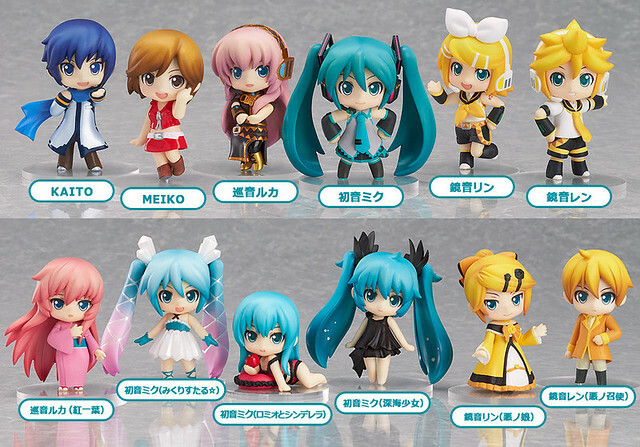 The cute and small Nendoroid Petite action figure series is getting a brand new set of Vocaloid figures named the ‘Hatsune Miku Selection’! Go past the break to find out the special campaign for this Nendoroid Petite set. 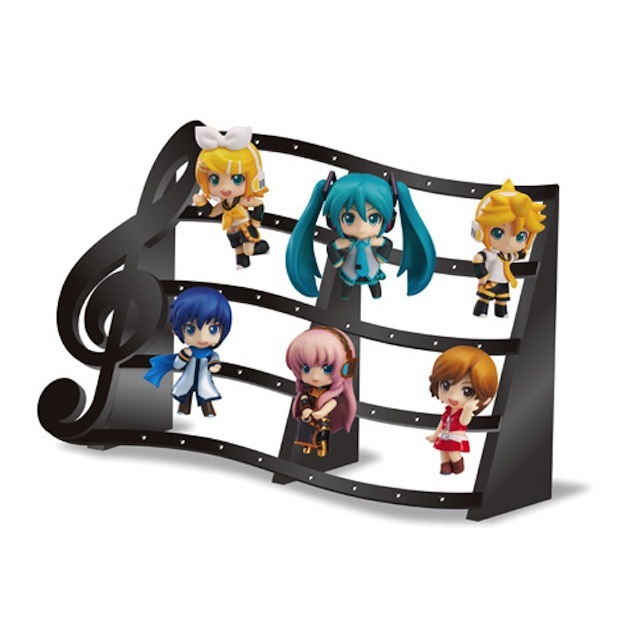 Uh … anyway, the first campaign is that you will get a Nendoroid Petite pouch: Hatsune Miku version if you pre-order the Petite set (box) at GOOD SMILE ONLINE SHOP or Good Smile x Karaoke Tetsujin Cafe. The Nendoroid Petite Pouch: Miku Ver. 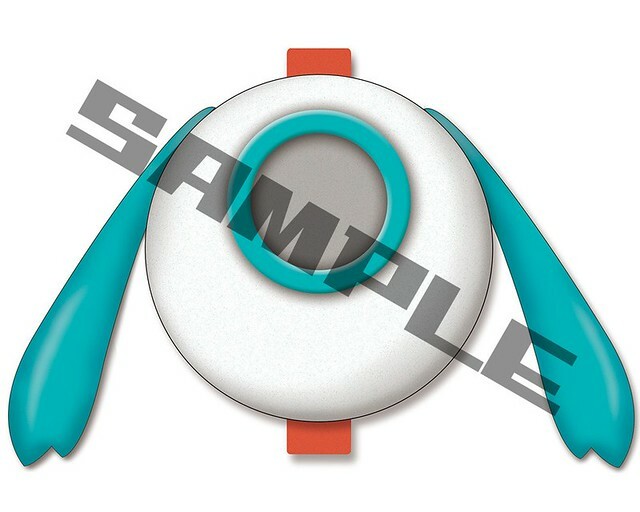 is a special version of the Nendoroid Petite Pouch that features a design based on Hatsune Miku’s image. You can use it to carry around any of the Nendoroid Petites in this collection and most others as well, so don’t miss out on having a stylish way to carry your Nendoroid Petites around! Anyway, the second campaign is that you can get a special pedestal to accompany the Nendoroid Petites if you pre-order from either Circle K Sunkus or Family Mart. That is how the Circle K Sunkus Limited Musical Score Pedestal (Green) looks like. … and that is how the Famima.com Limited Musical Score Pedestal (Black) looks like. In order to spice up the campaigns even more, GSC has made two lovely ads of the Nendoroid Petite set as well! 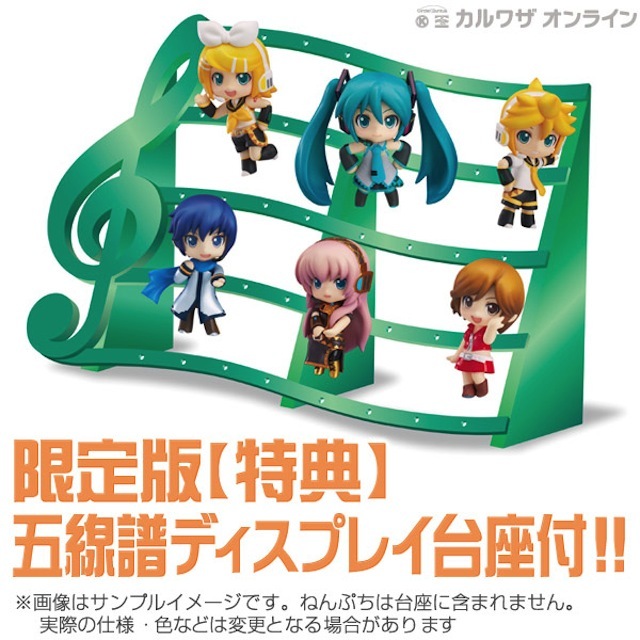 Nendoroid Petite: Hatsune Miku Selection is priced at 7200 Yen per box of 12 Petites, or 600 Yen for each box. 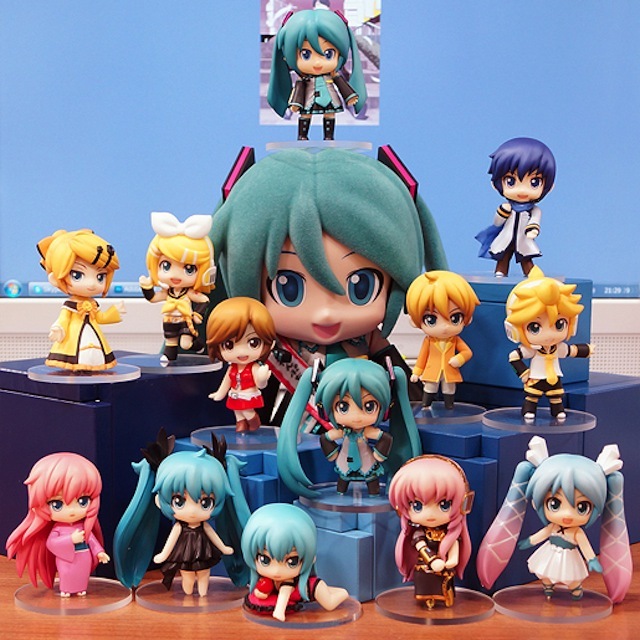 This entry was posted in News and tagged hatsune miku, nendoroid, petite, puchi, vocaloid.